Abingdon is the scenic town that serves as the home base for many on a trip to see the outdoor charms of Southwestern Virginia. Yet is also stands on its own as a cultural destination worth exploring. 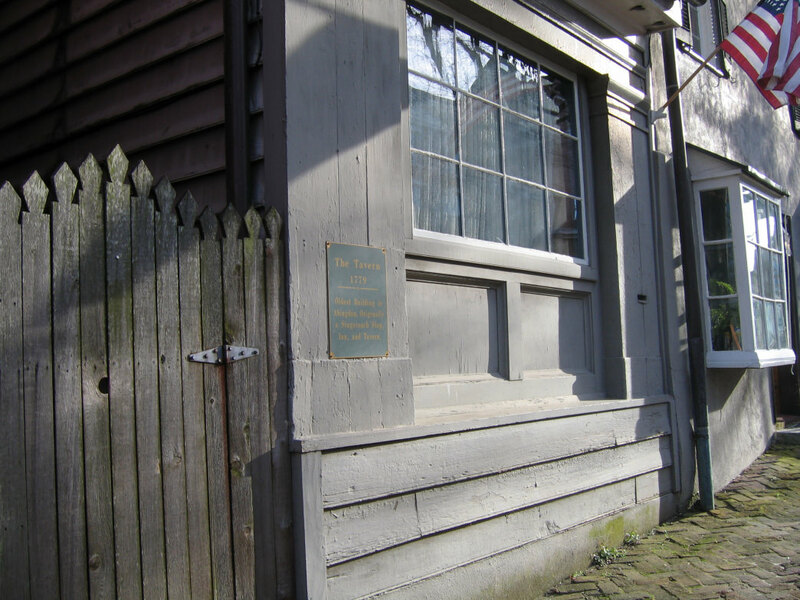 It was settled in the early 1700s, and its Main Street retains the town’s historic charm with its red brick sidewalks and cultural icons like The Martha Washington Inn and Barter Theatre. But Abingdon is also renowned for its early embrace of local food and the many community artists inspired by their Appalachian mountain roots. Downtown Abingdon has a wide array of contemporary and traditional eateries where you can taste the region’s bountiful foods. A lovely place to stroll and window shop, Abingdon features exclusively independent shops and retailers— many selling merchandise you can only find in this region. It’s one of the stops on The Crooked Road music trail, which unites other small towns in the region dedicated to the preservation (and enjoyment) of heritage music. It’s the start (or finish) of the wildly popular Virginia Creeper Trail, considered one of the best rail-to-trail conversions in the country. The 34-mile path from Whitetop Station to Abingdon is a popular cycling destination, as many visitors take a shuttle to the top of Whitetop Station and enjoy the mostly downhill ride back into town. In short, Abingdon is filled with options for both spending time outdoors and enjoying the cultural amenities around town. Abingdon’s founding begins about the same time The Tavern Restaurant opened back in 1779. This fine dining restaurant contains more than 80 percent of the original furnishings including the wooden beams. At first glance, the restaurant resembles a movie set during the Revolutionary War. Notable guests of The Tavern include Louis Philippe, the King of France, President Andrew Jackson, and Pierre L’Enfant, the architect behind the design of Washington, D.C. Over the centuries, the Tavern has functioned as a post office, bank, barbershop. and a hospital for wounded soldiers during the Civil War. Today the restaurant features continental cuisine prepared in traditional fashion. It’s also a popular place to stop in for cocktails or after-dinner drinks. If you’re looking for something more casual, consider White Birch Juice Company. Here’s where the emphasis on local products shines brightly. Along with cold-pressed juices, you can try its flavorful breakfast items like the Veggie Heaven Sandwich or during lunchtime, their Gourmet Grilled Cheese. The restaurant lists where each of its products is sourced and features a selection of local beers and ciders. Those with a sweet tooth must save room for Anthony’s Desserts, known for the menu’s exquisite crème brulee and cheesecake. Visitors and locals rave about Anthony’s signature roast coffee from Costa Rica along with the hand-dipped ice cream. Anthony’s is a perfect place to go for a romantic date night or special occasion. Another popular dessert destination is 149 Sweets offering irresistible desserts baked in the Southern tradition of scratch baking. Some favorites include their lemon meringue pie, brownie bars and coconut pound cake. Everything tastes like your grandmother made it. Looking for something more exotic? Check out Abingdon’s Balkan Bakery where you can find both savory and sweet pies and international treats like spanakopita and baklava. Abingdon is known for its Appalachian Mountain crafts, and you can find them in abundance in the town’s local galleries near Main Street. Holston Mountain Artisans is a gathering space where people take classes to work with various media. The cooperative gallery also sells woodworking, pottery, quilts and hand-woven baskets. Down the street, the Arts Depot is located inside an 1890s freight station. Today the community-based gallery hosts seven Resident Artists who you can observe while they create in their studios. 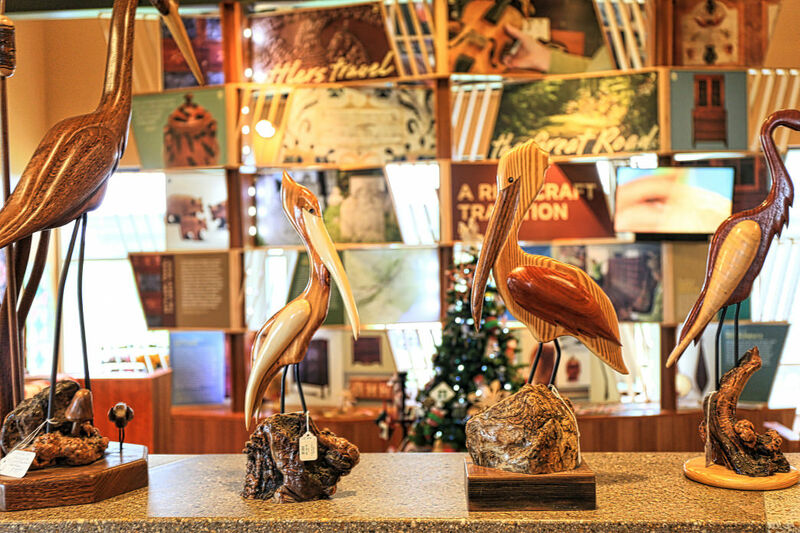 The artwork is displayed in an elegant environment, and much of it is for sale, including the photography, jewelry, sculpture, paintings, folk art, and weaving. If you’re in the market for home furnishings, stop in Shady Business where they stock an eclectic selection of lampshades, home décor and lighting options. Crafty folks should visit A Likely Yarn to be inspirited by their colorful stock of sewing, crocheting, weaving, and knitting products. Connoisseurs can stock up on wine, beer, and cheese at Katbird’s Wine & Gourmet, housed in a traditional brick building on Main Street. Whether you’re entertaining or treating yourself, order a cappuccino while you peruse this excellent collection of fine foods. Live music is a way of life in Southwest Virginia, and Abingdon is an incubator for performing artists. 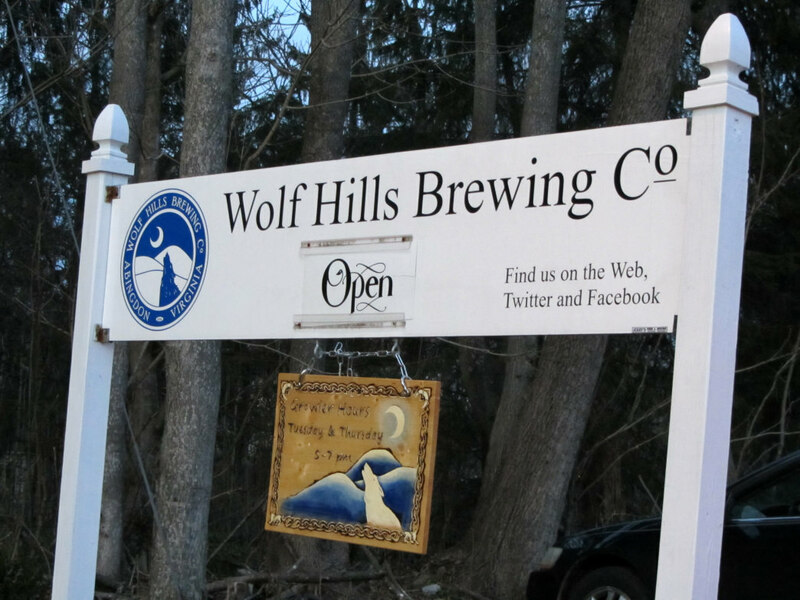 Check out Wolf Hills Brewing, where live bands play while you sample their tasty craft brews. This festive microbrewery is housed in an old barn. 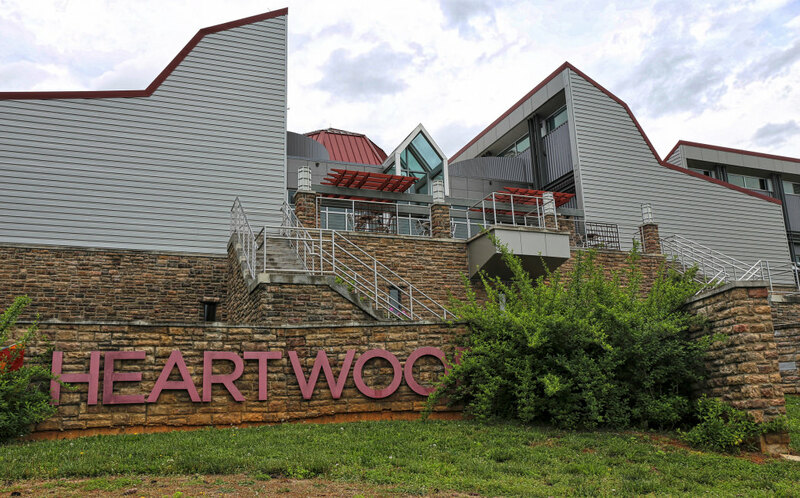 Heartwood is the headquarters of The Crooked Road, and it’s the best destination to truly absorb what makes this Appalachian Mountain culture popular with fans around the world. This architectural marvel is the place to hear musicians playing bluegrass, gospel, and old-time tunes. There’s a wine and coffee bar, and if you do bring your own instrument, you might get to jam with the musicians. JJ’s Restaurant and Sports Bar features an impressive number of draft beers, many from the region, and the chef turns out some imaginative twists on comfort food. Try JJ’s Loaded Potato Soup, Pig Wings, and the unforgettable JJ’s Special Burger with fried jalapenos and Pimento Cheese. That burger is life changing. Watch a game on one of their 10 big-screen TV’s, and feel like a local. Abingdon hosts a well-known festival that showcases music and other live entertainment. Time your trip around the Main Street BuskerFest, where you’ll see circus acts, mimes, sword swallowers, acrobats, and magicians converging at this beloved annual event held over Labor Day Weekend. If you miss that, every Thursday evening during the summer you can attend Thursday Jams at the Abingdon Market Pavilion. Each week, popular regional performers come out to entertain guests sipping on craft beer. It’s a fun time for every age group. During the month of January, notable talents grace Abingdon audiences at January Jams held in the Barter Theatre. This is an opportunity to see musical legends perform an intimate concert in this luxurious historic theatre. These are just a few memorable experiences you’ll find on a visit to Abingdon. Take advantage of this charming historic town’s special brand of hospitality and liveliness in any season. Originally written by RootsRated Media for Abingdon.